Remove any outdoor furniture or movable items from the workspace. Anything that’s cannot be removed from the pool area should be moved as far away as possible from the construction area. You may also want to temporarily store any costly items that are in high-traffic areas of your yard to prevent them from being broken. 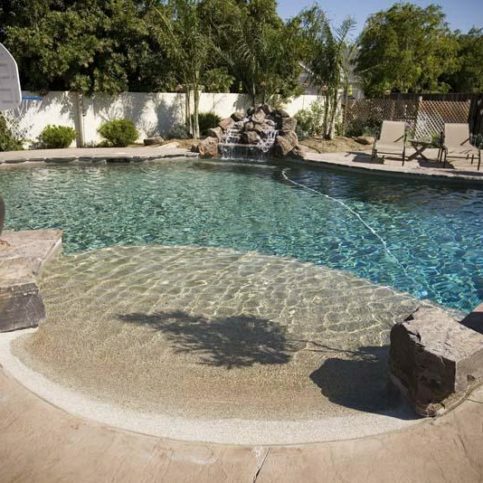 Marc Hannigan is vice president of Royal Pools of Santa Clara, Inc., a Diamond Certified company since 2008. He can be reached at (408) 372-6977 or by email. Outside of work, Marc spends much of his time immersed in aquatic activities. “As I said, I’ve been scuba diving my whole life, and I still enjoy it today,” he affirms. “I used to do a lot of spearfishing, but with the fish population in decline, I’ve switched to underwater photography, which has taken me all over the world, from Fiji to the Caribbean.” When he’s not taking snapshots of marine wildlife, Marc can often be found reading a book or playing guitar in his band, Mud Daddy. Additionally, he enjoys spending time with his and Megan’s two grown children. A: Diving gear and underwater photographs I take. A: Any place that has good sushi. A: I have a few, but one that stands out is “The Drifters” by James Michener. I read it about 40 years ago and it became the blueprint for my travels through Europe as a young man. 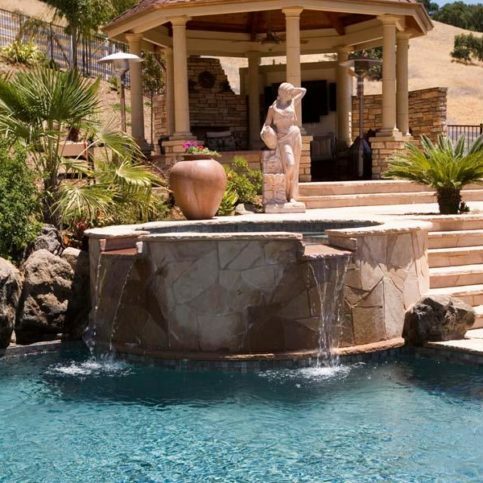 This pool features a raised spa and a large custom waterfall. 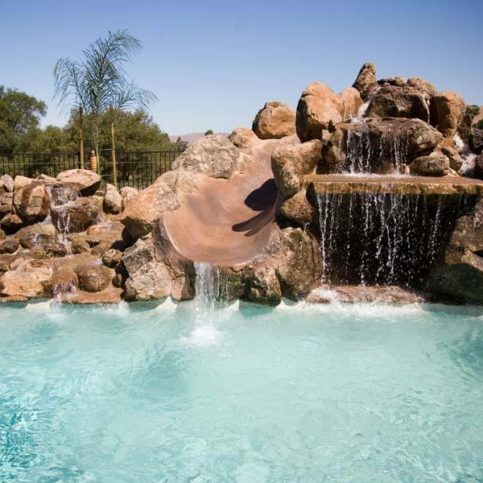 Royal Pools of Santa Clara installed this fully automated spa featuring a custom waterfall. 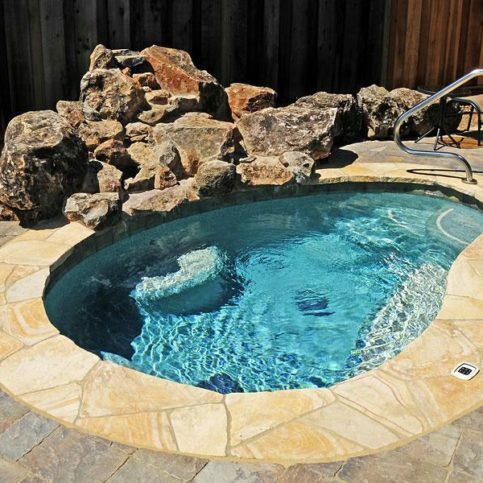 This pool/spa combination features a poured-in-place coping with a custom rock deck. 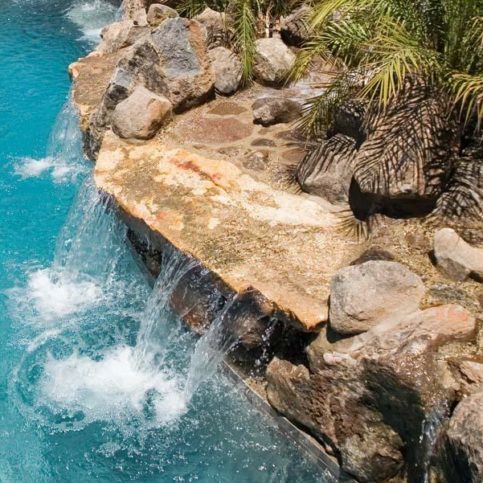 Royal Pools of Santa Clara installed this custom waterfall with an inviting grotto seating area. 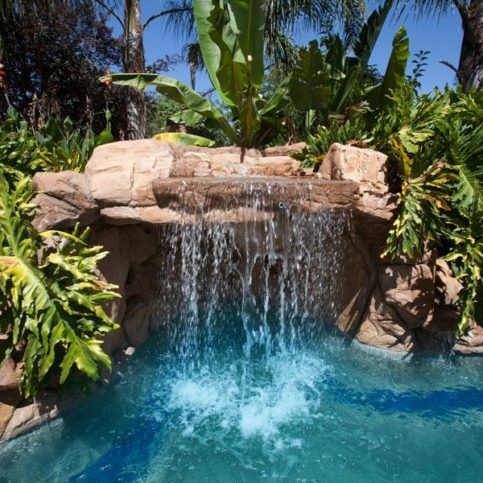 This custom waterfall features an integrated waterslide. 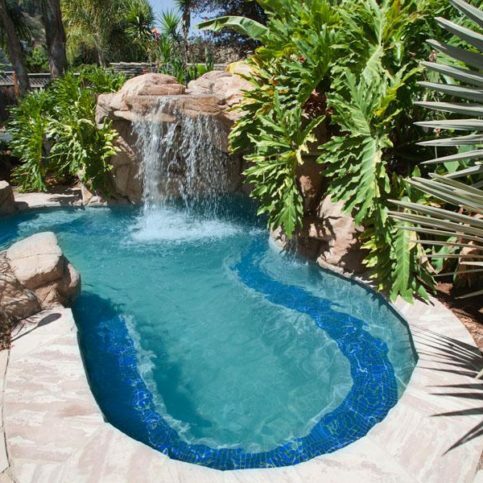 This pool features a beach entry with a sun shelf and a custom waterfall. 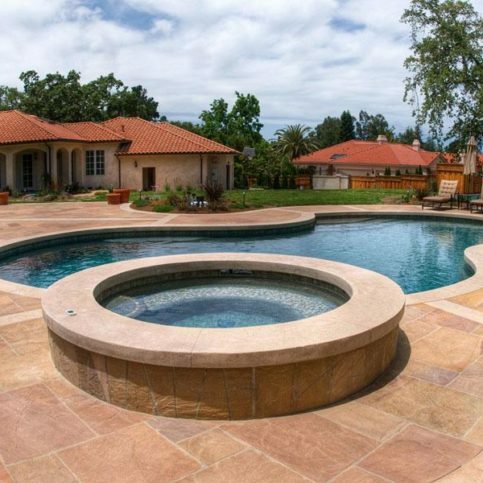 Once you are ready to build a pool and hire a swimming pool company in San Benito or Monterey counties, it is important to know what you want. Unfortunately, many pool companies are less than professional and do not meet the standard of swimming pool building that is required. Use the questions below to help you define what you really want from a pool contractor and you are almost guaranteed to find the most reliable and responsible swimming pool company. The benefits will be well-worth it! After questioning numerous Monterey County and San Benito County pool builders on the phone, you will want to whittle down your list of prospects in. 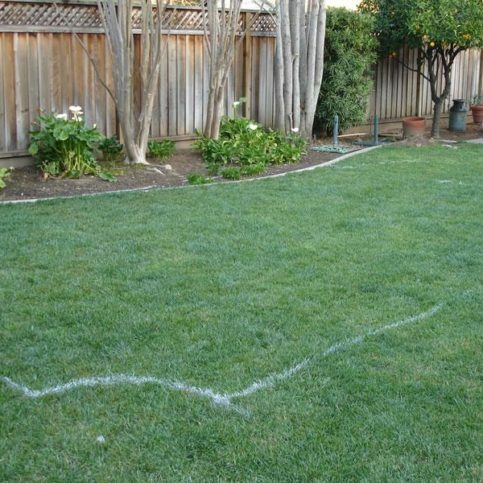 Visit those few final prospects in person with your preliminary plans for your swimming pool. Consider the following questions to help you obtain critical information. 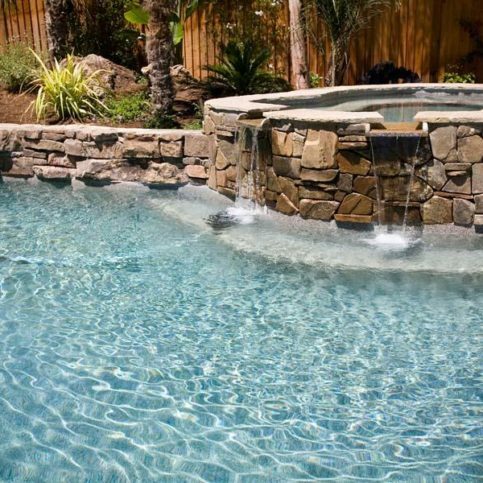 How many pools have you completed in Monterey County and San Benito County? It’s best to choose a Diamond Certified swimming pool contractor because all certified companies have passed an in-depth ratings process that most other companies can’t pass. 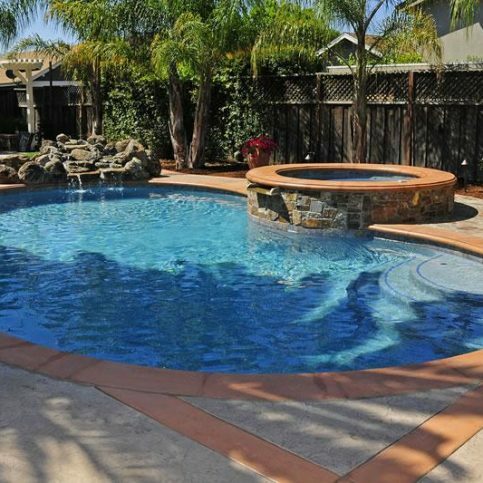 If you want quality from a swimming pool contractor in Monterey County and San Benito County, you can have confidence choosing a Diamond Certified company. Diamond Certified reports are available online for all certified companies. And you’ll never be fooled by fake reviews. It’s best to choose a Diamond Certified swimming pool contractor because all certified companies have passed an in-depth ratings process that most other companies can’t pass. 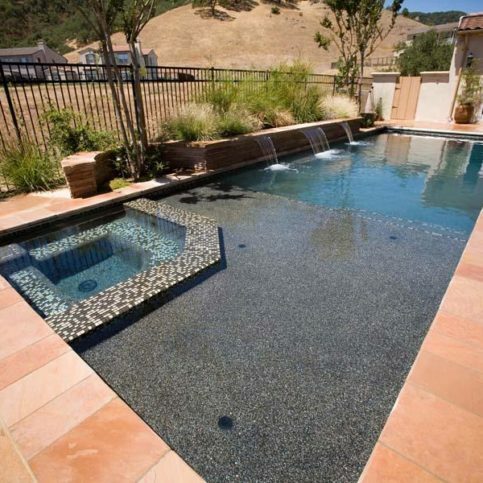 If you want quality from a swimming pool contractor in Monterey County and San Benito County, you can have confidence choosing a Diamond Certified company. Diamond Certified reports are available online for all certified companies. And you’ll never be fooled by fake reviews. That’s because all research is done in live telephone interviews of actual customers. If you can’t find a Diamond Certified swimming pool contractor within reach, you’ll have to do some research on your own. If you do, it’s wise to call some references provided by your swimming pool contractor. Keep in mind, though, that references provided to you by the swimming pool contractor are not equal in value to the large random sample of customers surveyed during the Diamond Certified ratings process. That’s because references given to customers from companies are cherry-picked instead of randomly selected from all their customers. So the contractors will likely give you a few customers to call that they know are satisfied. If you do call references on your own, specifically ask for a list of the company’s 10 most recent customers in Monterey County and San Benito County, in the major cities of Pacific Grove, Greenfield, Gonzalez, and Carmel-by-the-Sea. This will help avoid them giving you the names of only customers they know were satisfied. If you live in smaller towns such as Aromas, Big Sur, Cottage Corners, Carmel Valley, Cooper, Elsa, Jolon, Morse, and Neponset, did they charge extra to travel to your home? Can the swimming pool companies in Monterey County and San Benito County meet your needs when it comes to scheduling, products, techniques, customer service and experience? Is the company sensitive to your budget? Can they offer various pool brands and services to match your resources? Many contractors will give you bids that outline good, better and best options that include choices in pool selection, pool accessories, etc. It’s the swimming pool contractor’s responsibility to put in quality swimming pools using the best possible installation techniques. But you play a big part in the success of your swimming pool, too. 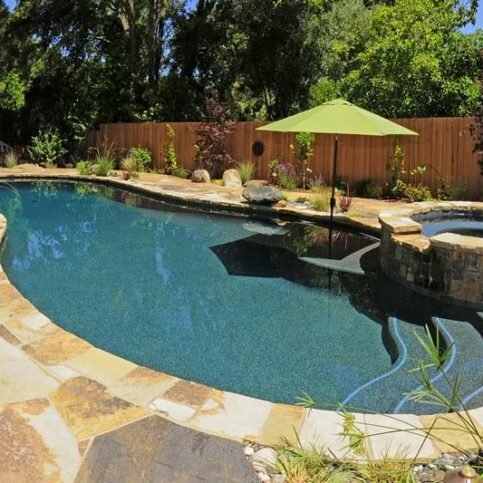 Here are a few simple tips to help you be a good customer when hiring a Monterey County and San Benito County swimming pool contractor in the major cities of Pacific Grove, Greenfield, Gonzalez, and Carmel-by-the-Sea. 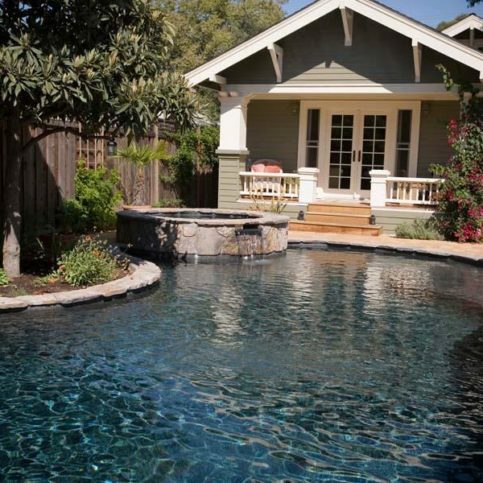 Before you hire a swimming pool contractor in Monterey County and San Benito County, restate your expectations and goals, and reiterate to the swimming pool contractor representative your understanding of the agreement. Most problems with local swimming pool contractors occur because of a breakdown in communication. By being clear about your expectations and theirs, you can avoid most conflicts. Why would you want to be a good customer? 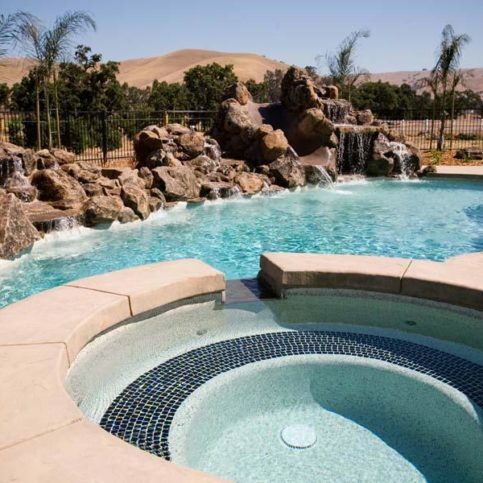 Swimming pool contractors in Monterey County and San Benito County appreciate customers who are straightforward, honest and easy to work with. Your good customer behavior sets the tone from your end and creates an environment conducive to a good relationship. Things may very well go smoother and any problems may be more easily resolved. 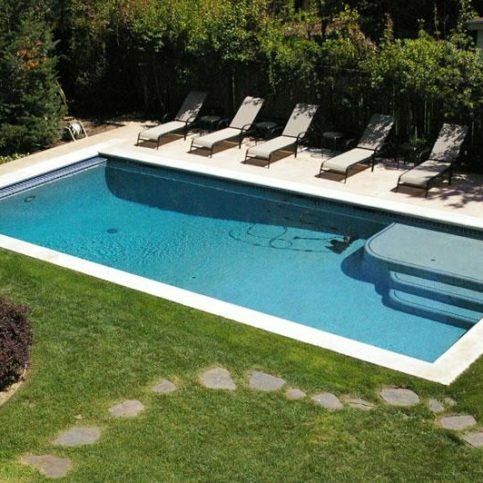 Designs of in ground swimming pools as far as shape and contour.